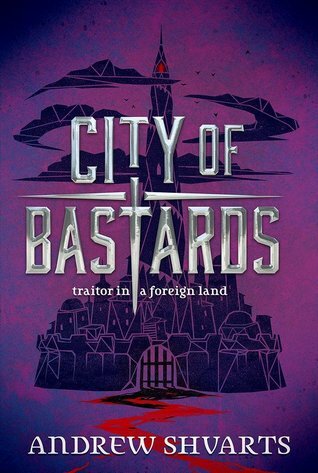 I’m more excited for this than I thought, which should tell you how much I enjoyed the first Royal Bastards book. Sure, it was somewhat predictable and unabashedly trope-filled…but boy did I have a lot of fun with it. I still find myself thinking about the characters sometimes, wondering what they’ll be up to next in this sequel, which just goes to show, you don’t need to reinvent the genre to offer up a good read. “While war rages in her Western homeland, Tilla of House Kent is far away, safely cloistered as a ward of the King in Lightspire. She’s best friends with the Princess, treated like nobility, and is even given a spot at the prestigious University, where only the Kingdom’s finest are educated. And yet, she finds herself unhappy, haunted by memories of her beloved brother, Jax, and plagued by a deeper sense of uncertainty, of not fitting in. Her boyfriend, Zell, who is now a recruit for the City Watch, puts on a brave face to hide the pain of leaving behind his Zitochi identity, while Princess Lyriana, stripped of her role as Mage, has begun rebelling against her conservative upbringing: drinking, partying, and hooking up with random boys. ← Guest Post: “If A Fungus Had A Brain” by David Walton + International Giveaway! Oh intriguing one! first time I hear about it! It was fun, I hope you get to check it out! Ooh nice! That’s a new to me one! Hope you enjoy it once you get to read it! I love the cover of this one and really need to see if I can grab the first one from my library. Sounds like you really enjoyed it! Hope this follow up is just as good. This is a series that I’m behind in, even though I have a review copy of the first book (fail!). But seeing this on the horizon makes me want to catch up before June for sure! I agree, the purple cover is soooo pretty! I would say this series is “very YA” but it’s so fun that I can overlook it. I love looking forward to a sequel like that! I’ll have to keep the first one in mind when I want a fun read! I love this purple cover! It is so gorgeous. O didn’t like the first book very much so I can’t see myself continue with the series but we’ll see. I hope you enjoy this book when you get the chance to read it! Book 1 is on my wishlist – time to catch up maybe!